The good news continues out of Woking! 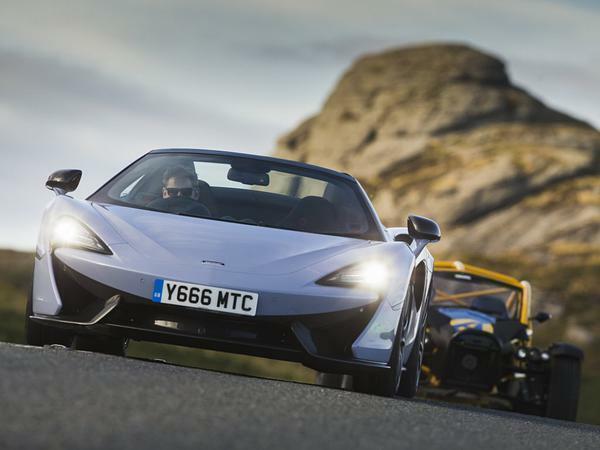 Fresh from the 600LT's array of awards at the end of last year, 2019 has begun for McLaren with confirmation of record sales over the past 12 months. 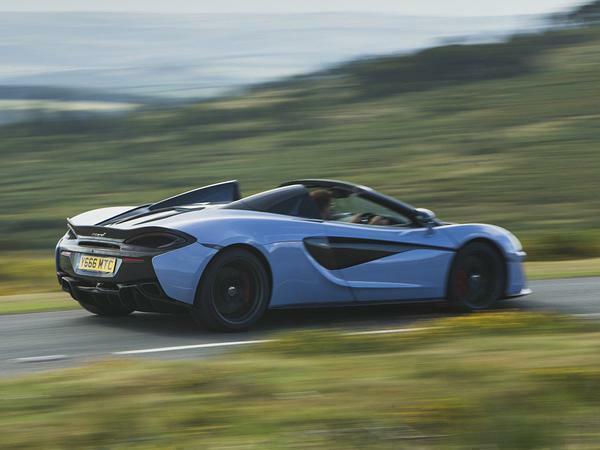 In total 4,806 McLarens were sold in 2018, up 43.9 per cent over 2017's 3,340. For some sense of perspective, the 2015 figure was just 1,650. The biggest increase over the past 12 months has been in China, with a 122.5% jump in sales. 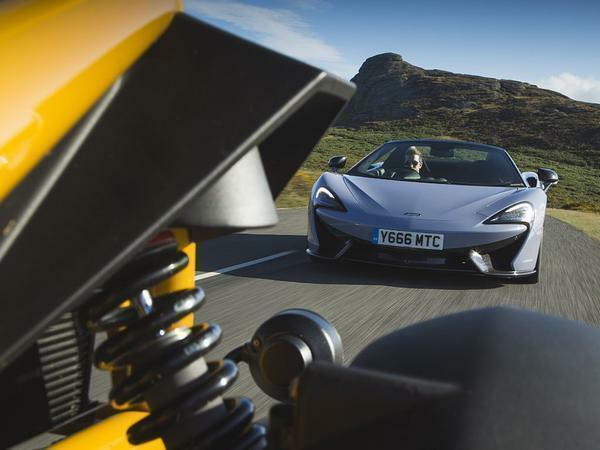 Europe was up 44.2 per cent, the UK 49.2 per cent and North America - where more than a third of McLarens are sold - "achieved another year of record growth". Funnily every year since the formation of McLaren Automotive has been a record sales year, a pattern that must soon relent. Mustn't it? With the Speedtail and 720S Spider, the first cars launched under McLaren's Track25 programme where 18 new models will be released by 2025, the aim is for 6,000 sales a year to be achieved by the middle of the next decade. For reference, Ferrari sold 8,398 cars in 2017 - 2018 figures aren't yet available. "We believe we're well-placed in 2019 with a global market spread and diverse product portfolio. Our optimism is buoyed by the fact that we already have strong order banks into this year and exciting product lined up," said McLaren CEO Mike Flewitt. This year will see the race debut of the 720S GT3, plus you would have to imagine a 600LT Spider and further 720S derivatives. Nothing ever stays still for long at the McLaren Production Centre. Or the new McLaren Composites Technology Centre, for that matter. Wow, looks like they're really 'burning it up'. Senna bonfire displays aside, I think their product lineup looks great, and I'd put them on the list of supercar manufacturers I'd like to own a car from. I just keep hearing about reliability issues which are a tad scary. I thought they were going to cap sales at 5k PA. So not sure about them wanting to make 6k cars or more as they wanted to be exclusive. and when they say 18 new models, is any thing moved forward really ? The cars are so dull imo. 12c mk 26 !! 12c vs the lastest 600lt, the cars are the same specs and the same performance to a tee even lap times from the 2004 12c are give or take the same. seems they are a bit stuck and cannot really do much else bar body designs. Comapny that builds more cars than it did 4 years ago is now able to sell more cars? It's good news but it isn't as if they were doing "badly" 4 years ago, is it? From memory Ferrari sell c. 8,400 cars a year, and Lambo c. 4,000 (pre the SUV) so clearly the supercar market is doing very well. How much production can the market sustain over a cycle? This article fails to mention that Ferrari sales are restricted to maintain exclusivity. They could sell quadruple the amount otherwise. But well done Mclaren all the same.